Copyright Instructional Technology Services, Inc.
No part of this page may be copied or reproduced in any form without the express permission of Instructional Technology Services, Inc.
Who negotiated this treaty for the United States? Why was Spain willing to sign this treaty? A. It didn't want to give up California without compensation. B. It didn't want to give up Florida without compensation. C. It didn't want to give up Texas without compensation. E. A & C Above Only. A. A definite border between Spanish land and the Louisiana Territory. B. The United States gave up its claims to Texas west of the Sabine River. C. Spain retained possession to all of present-day California, New Mexico, Nevada, Utah, Arizona. How much time passed between the treaty negotiation and its ratification by the United States and Mexico? In which state was James Long born? How old was James Long when he led a Natchez, Mississippi expedition to conquer Texas? A. They wanted to be recognized as empresarios. B. They were outraged by the provisions of the Adams-Onís Treaty. B. They wanted to help enforce the provisions of the Adams-Onís Treaty. D. A & C Above Only. On what date did James Long declare a provisional Texas government independent from Spain? A. The expedition succeeded and Long became an early leader of the Republic of Texas. B. The expedition succeeded, but Long was killed. C. The expedition failed, but Long became an early leader of the Republic of Texas. D. The expedition failed and Long was killed. What year were the Mexican provinces of Texas and Coahuila united to form the state of Coahuila y Texas? What name was given to the department that constituted the Texas portion of the state of Coahuila y Texas in 1824? D. San Antonio de Béxar. What river ran through the Mexican state of Coahuila y Texas? 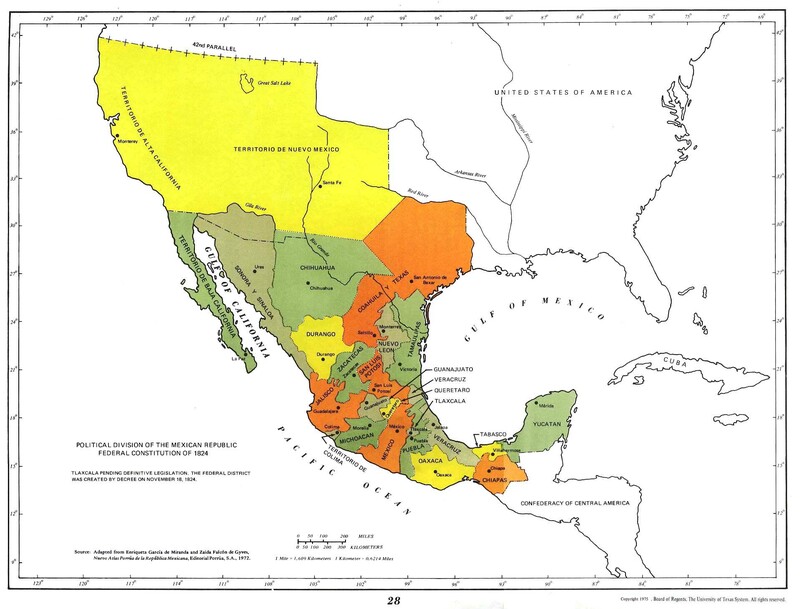 Which of these Mexican states bordered Coahuila y Texas in 1824? Which of the following were departments of Texas in 1831?